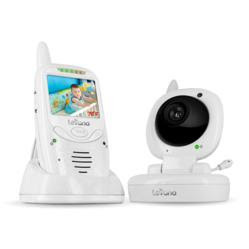 New LEVANA® Baby Video Monitor Features Best Battery Life Ever - Jena's 12 hour battery life provides parents with the power they need to do more knowing their child is safe. LEVANA is thrilled to announce the latest addition to its family of digital baby video monitors –JENA™. This baby video monitor was developed after extensive market research by the LEVANA team to determine the features that matter most to new and expecting parents. Respondents to numerous recent surveys indicated long battery life to be the most important feature parents looked for in a monitor, so the LEVANA team developed a solution that would give parents at least 8 hours of continuous battery life with the screen on – nearly double that of the competition. This long-lasting lithium ion rechargeable battery is one of many features that make JENA an essential tool for today’s busy parent. Peace of mind has always been the key to LEVANA’s success, and develops their baby video monitors with parents’ needs in mind from start to finish. A variety of feedback initiatives designed to give parents a voice in the product development process have become invaluable reference points for the LEVANA team. A rebate of over $170 was offered to those who purchased JENA and filled out a brief feedback survey. These types of endeavors allow LEVANA to continue to raise the quality of their products while giving parents the power to do more knowing their child is safe. Hatch & Co. Introduces the World's Slimmest iPad Keyboard Case With Backlight - 2-SKINNY: An iPad protective case suited up with keyboard that lights up - Meet the world’s slimmest & lightest iPad keyboard case with backlight by Hatch & Co. After introducing the world’s first Touch Technology iPad keyboard case (SKINNY), Hatch & Co is now back with the 2nd generation with backlight which enables typing in the dark. It’s called “2-SKINNY” because it’s simply too skinny! 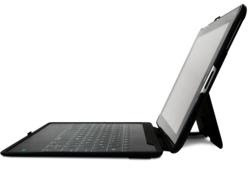 Hatch & Co. is introducing the world’s slimmest iPad keyboard case, “2-SKINNY”, a protective iPad case with ultra slim keyboard featuring Touch technology and backlight technology. The 2-SKINNY will fit iPad 4 with retina display, the new iPad (3rd generation) and iPad 2. Following Hatch & Co’s philosophy in combining quality, functionality and design into the products, this all-in-one solution offers a stylish case, an ultra slim Touch keyboard and the convenience of the backlit keys. Utilizing the unique Touch technology that was originally designed for mobile phones, measuring only at 0.07 inch (2mm) at the thinnest point of the keyboard, the “2-SKINNY” is not only ultra thin but is also very responsive. The same technology produced in a seamless keyboard design (no spaces between keys), which means there is no need to worry about dropping cookie crumbs or spilling coffee. The keyboard with backlight offers a unique look as well as the convenience of typing in the dark as the keys light up. “We are excited to present another break-through by effectively merging the backlight technology with the Touch keyboard technology, creating unique user-experience while providing functionality.“ said Kenny Chen, General Manager of Hatch & Co.
Backlight: Similar to the keys that lights up on a MacBook, 2-SKINNY’s keyboard comes with backlight, illuminating the keyboard from the back provides a unique look while allowing the users to see the keyboard while typing in the dark. Incredibly Light & Thin: The keyboard itself is only 0.07 inch (2mm) at the thinnest point and 0.27 inch (7mm) at the thickest point. The whole case barely adds any thickness and weight to the iPad. Cutting Edge: Utilizing Touch technology, developed originally for mobile phones, making the keyboard incredibly responsive. Worry-Free: With no spaces between keys, there is no need to worry about dropping cookie crumbs or spilling coffee over the keyboard. The World’s Most Rugged iPhone Case Announced by iGearUnlimited.com - An iPhone gets thrown out of a second-floor window to a concrete drive and keeps on recording video completely unharmed! The company behind the revolutionary phone case, iGearUnlimited.com, is claiming the title of “The World’s Most Rugged iPhone Case”. Yes, there have been plenty of drop tests done at ‘normal’ heights, 3-feet from your pocket, 6-feet from your ear, or even 10-feet in the air just for kicks. But no one in their right mind was ever crazy enough to throw an iPhone from a second-floor window 32-feet down to a concrete driveway. Unless the phone is wearing the right protection, that is. Watch a video of the ultimate iPhone drop test.. 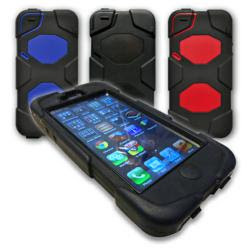 Introduced for the iPhone 5, the Tough Case is also available for iPhone 4 and 4S. The new iPhone 5 Tough Case offers multi-layer protection using a combination of (1) an outer soft rubber shell, (2) an inner polycarbonate hard case, and (3) a clear lens which covers the screen. This case is supremely shock absorbent and withstood a drop test from a second-floor window, free falling 32-feet onto a concrete driveway, and the iPhone keeps on recording video! Since all buttons and ports are tightly sealed, the Tough Case provides rain and splash protection, while giving the user full access at the same time. The included ratcheting belt holster also functions as a convenient kickstand for movie watching. 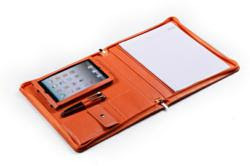 Just in time for the holidays, Xiao Zhi announced this week the release of its new iPad and iPad Mini leather cases. The genuine leather cases from designer Xiao Zhi are a brand-new line of versatile leather cases designed specifically to protect the newest devices from Apple. A leader in leather case design and construction, Xiao Zhi specializes in custom-designed and unique cases and portfolios that provide protection while also incorporating convenient “extras” like roomy pockets, folders and other features geared toward making life a little easier. The new iPad and iPad Mini cases is no exception. Like its other leather case designs, Xiao Zhi’s new line of case designs run the gamut, from sleeves to portfolios to envelope-style covers, and many feature unique embossing and trim details designed to set these cases apart from the crowd. Amazon Kindle Classic Lowered in Price for Christmas According to Those Tech Guys - Amazon Kindle Classic is now at its cheapest price for Christmas according to ThoseTechGuys.com. The selling price has been published in a new article as well as the offer for no cost shipping from some retailers online for Christmas. 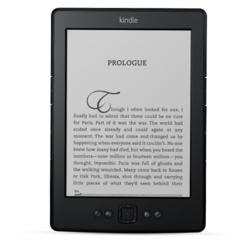 Those Tech Guys have published a new article online that details the new selling price for the Amazon Kindle Classic. The new price has been lowered to $69 and is now shipped for no cost by this retailer online before Christmas. This last minute price reduction is part of the incentives that are now offered to Christmas shoppers online searching for the last deals of the season. The new article explores the comparisons in technology for the entire Kindle tablet series. The classic edition has been updated to include a newer display that is brighter and larger than those used in previous editions. Part of this display upgrade includes better fonts and darker colors to make text stand out when displayed in daylight or night reading instances. The classic edition has received a longer battery life to help extend the reading time available for this device. Older editions had smaller batteries that did not live up to customer expectations according to the new TTG article. The new battery now offers up to one month of uninterrupted usage for e-book reading or browsing of content available from Amazon online. The Wi-Fi for the Kindle Classic has been modified to be similar in usage to the Fire HD series. Expanded speed and service area is now making it easier for users of this device to find books anywhere online without dropping carrier signals during a download.